New material from Meteorologist Todd Borek. He's doing radio work for The Weather Channel and freelancing mostly behind the scenes at CNN (check-out the time he was given 90 seconds warning to get on the air!). He spent five years in Southern California where he worked as a 6th grade Math/Science teacher. Todd is an active volunteer and feline foster parent at local humane societies. Please consider him! Click here for all of Todd's clips. The Weather Channel, Atlanta: Broadcast Radio Meteorologist (January 2015-Present). Broadcast detailed live and recorded weather forecasts for affiliated radio and Sirius/XM satellite stations nationwide. Provide live severe weather watches and warnings to affiliated stations such as WLS-Chicago. Contribute forecasts and weather reports to Weather Channel Radio social media platforms. CNN, Atlanta: Freelance Weather Producer (April 2013-Present). Forecast short-term/long-term weather conditions, create on-air weather graphics, research weather data, and update weather content on company's web and social networks. Coordinate with news department over potential weather related stories and suggest locations for live-weather reporting. Weather producer for CNN’s coverage of the Moore, Oklahoma tornadoes, Super Typhoon Haiyan, and the November 17th tornado outbreak. WAGA-TV, Atlanta: Freelance On-Air Meteorologist (December 2014-January 2015). Broadcast weather conditions and weather forecasts, created on-air weather graphics and provided severe weather watches & warnings via newscasts, 106.7 FM radio broadcasts, Fox-5 Twitter and webpage. WKYT/WDKY-TV, Lexington: Morning/Noon Meteorologist (June 2008-November 2012). WSAZ-TV, Charleston/Huntington, West Virginia: Evening Meteorologist (June 2005-June 2008). WEYI-TV, Flint/Saginaw/Bay City: Morning & Noon Meteorologist (May 2002-June 2005). WJFW-TV, Rhinelander, Wisconsin: Morning Meteorologist and MMJ (January 2001-April 2002). Humane Societies. Fluent in Windows, Mac, and Unix Operating Systems. Mississippi State University: Certificate in Broadcast Meteorology. 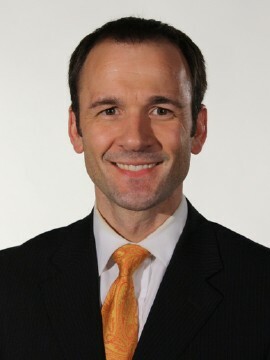 Chad Myers, Lead Meteorologist, CNN, Atlanta, 404-735-0154. Bill Bryant, Managing Editor/Anchor, WKYT, Lexington, 859-566-1304. Dave Hennen, Supervising Producer, CNN, Atlanta, 404-309-0434.